Lake Effect's Mitch Teich talks with writer Kipp Friedman. The writer Bruce Jay Friedman was known to many in the 1960s, ‘70s, and 80’s for novels such as Stern, stage plays such as Scuba Duba, and screenplays such as Stir Crazy, Splash and The Lonely Guy. But to then-aspiring writer Kipp Friedman, he was also known as “Dad.” Friedman’s new memoir, Barracuda in the Attic, recalls the distinctive experiences, growing up with a literary lion as a parent. Friedman reads from his book Thursday night at Boswell Book Company, but he joins Lake Effect in the studio first. Kipp Friedman tells the story behind the book's title, "Barracuda in the Attic." 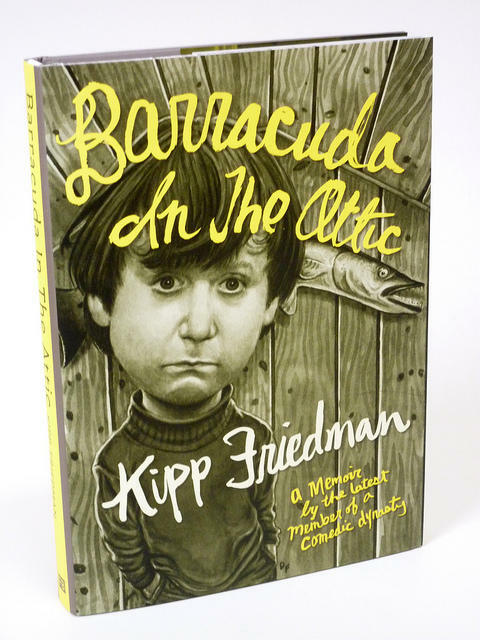 Kipp Friedman’s memoir is called Barracuda in the Attic, published by Fantagraphics Books. He’ll talk about the book in an on-stage interview at Boswell Book Company on Thursday.